Let's live as if we've been redeemed! Let's show our love and character in our daily lives. Let's especially work together, with one voice and spirit, making a vigorous effort to share the Gospel with those who have never heard of the grace of God in the ministry of Jesus. In the face of opposition, let's not be deterred or divided. 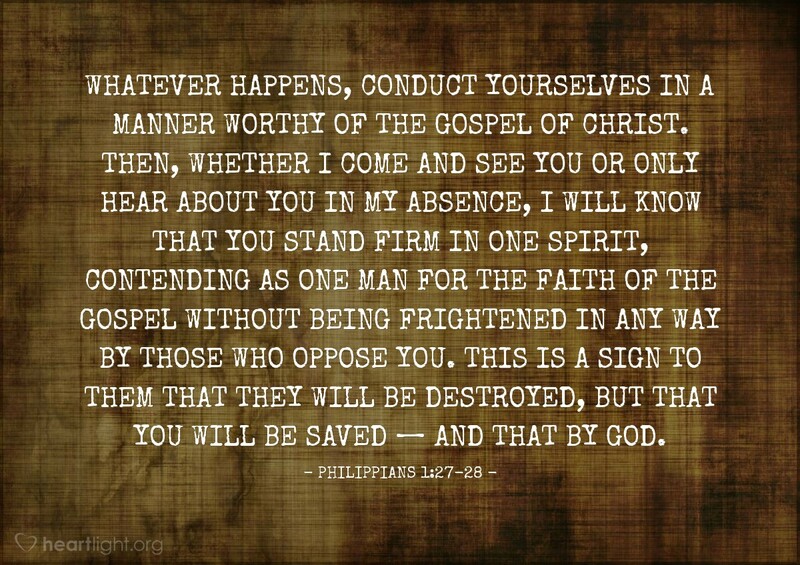 Instead, let's work hand-in-hand for the cause of the Gospel. O LORD, give us greater unity of purpose and greater courage in the face of opposition so that we can show the world that we are your children and Jesus' disciples. In the name of our Lord and Christ we pray. Amen.